There are lots of different understandings of what pastoral care and discipleship should look like within a local church. This is an attempt to define this for Hope Church. Our preferred term is well-being (shalom). Aim :- To create a community that will enable church members and those we are serving, to grow and thrive in experiencing well-being and wholeness in Christ (shalom). The concept of well-being encompasses the physical, mental and emotional, social, and spiritual dimensions of health. This concept is recognised by the World Health Organisation. We need all 4 walls of well-being within our community; physical, mental and emotional, social, and spiritual in a healthy balance. Jesus helped people by looking at the whole person e.g. addressing physical healing but also spiritual issues and social consequences. E.g. in Luke 17, Jesus heals 10 lepers (physical) He sent them to the priest (social) so they would be accepted back into society and He told the thankful leper who returned, his faith had made him well (spiritual) but it also affected him emotionally as he was praising God. He spoke about His followers loving each other well, forgiving well taking care of each other serving each other. The early christian church grew because the christians took care of each other and others around during times of plague. The Maslow Hierarchy of needs says that unless of physical needs are met, food, water, warmth, rest, we are not able to focus on the other needs. We are serving an increasing number of the poor whose basic needs are not being met, and who view life differently. In seeking to create a community that enables well-being we must remember the vulnerable / poor – Galatians 2v10. POSSESSIONS People. Things. One-of-a-kind objects, legacies, pedigrees. MONEY To be used, spent. To be managed. To be conserved invested. PERSONALITY Is for entertainment. Sense of humor is highly valued. Is for acquisition and stability. Achievement is highly valued. Is for connections. Financial, political, social connections are highly valued. SOCIAL EMPHASIS Social inclusion of people they like. Emphasis is on self-governance and self-sufficiency Emphasis is on social exclusion. FOOD Key question: Did you have enough? Quantity important. Key question: Did you like it? Quality important. Key question: Was it presented well? Presentation important. TIME Present most important. Decisions made for moment based on feelings or survival. Future most important. Decisions made against future ramifications. Traditions and history most important. Decisions mad partially on basis of tradition and decorum. EDUCATION Valued and revered as abstract but not as reality. Crucial for climbing success ladder and making money. Necessary tradition for making and maintaining connections. DESTINY Believes in fate. Cannot do much to mitigate chance. Believes in choice. Can change future with good choices now. Noblesse oblige. LANGUAGE Casual register. Language is about survival. Formal register. Language is about negotiation. Formal register. Language is about networking. FAMILY STRUCTURE Tends to be matriarchal. Tends to be patriarchal. Depends on who has money. WORLD VIEW Sees world in terms of local setting. Sees world in terms of national setting. Sees world in terms of international view. LOVE Love and acceptance conditional, based upon whether individual is liked. Love and acceptance conditional and based largely upon achievement. Love and acceptance conditional and related to social standing and connections. DRIVING FORCE Survival, relationships, entertainment. Work, achievement. Financial, political, social connections. Looking at the last row for example, it illustrates that the driving forces of the poor are survival, entertainment and relationships whereas for the middle class, the criteria against which most decisions are made relate to work and achievement. For the wealthy, decisions are considered based on the effect on finance, political and social connections. Using money for security is grounded in the middle class and wealthy. Those in poverty see money as an expression of personality and it is used for entertainment and relationships. Words are used to resolve conflict by negotiation in the middle class and wealthy but what if you don’t have the necessary words or even respect them if you are in poverty? Violence is often the way to resolve issues. There are many things already in place that contribute to well-being, shalom, some through community areas, others through Open House. 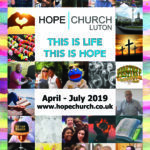 We do not want to duplicate or reinvent the wheel as there are several Christian and non-Christian programmes and organisations that have expertise and can contribute towards well-being and shalom. It is important to work in partnership where possible and sign-post people as appropriate and work to strengthen our relationships. Examples of others we are working with. Azalea; Noah; Signposts; Walk to Freedom; Lighthouse Ministries; Christian Counsellors; Foodbank; Red Cross. Internet courses e.g. Food health and hygiene training. Board games, table tennis, pool etc. Support for carers of those who are long term sick, eg. respite, meals, prayer, etc. Open house meals 1 to 1 listening. Clothing store at building Resources on mental health issues. Prayer walking An evening in his presence. There are many other ministries to develop or signpost e.g.